Arguably, no lady exudes excellence like the focused and stunning Tina Fey. She writes for the popular show, Saturday Night Live series and has moved on to write two other comedy works; 30 Rock, and Unbreakable Kimmy Schmidt. Her works aren’t limited to her playing behind the scenes, she has also played perfectly as a comic actress. For all her incredible performances, year into year, she was awarded accolades ranging from the Golden Globe awards and so many more! Unlike some other celebrities, she has perfectly managed her career alongside her personal life. She was named Elizabeth Stamatina Fey when she was born on May 18, 1970, in Upper Darby, Pennsylvania. She lost her dad in 2015, but while he was alive, he worked as a Korean War Veteran and also worked at the University of Pennsylvania and Thomas Jefferson University as an administrator. Her mom, Zenobia Jeanne worked as a broker before she retired. She has an older brother named Peter. After her father died, the comic actress started a scholarship fund in her father’s name at the Temple University in order to honor him. Tracing her roots, we discovered that her maternal family are immigrants from Greece to the United States of America while her father has an English, German, Northern Irish and Scottish ancestry. In other words, Tina Fey is a lady of mixed ethnicity. 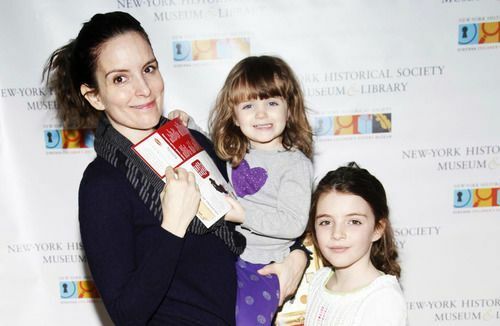 For her educational pursuit, Tina Fey was a scholar at Cardington-Stonehurst Elementary School and she also spent some years at Beverly Hills Middle School. Her interest in comedy began when she was quite younger; she was just 11 when she realized that she loved making people smile at even the silliest things. She began to groom her interest in the act of comedy when she enrolled at Upper Darby High School. There, she also showed interest in music, acting, and writing. Moreso, she ran the school’s newspaper known as Acorn as a co-editor. Upon graduation, she moved on to the University of Virginia where she bagged a B.A degree in drama. Tina Fey’s excellence was equally noted during her days at the university, she claimed the Pettway prize as a result of this. Everyone expected Tina Fey to launch her career after graduating from the University but she didn’t, she decided to learn to work under someone and later took a receptionist job at the YMCA in Evanston while taking night classes at the Second City. Lady luck smiled on her that same period and she got an offer from NBC to write for the famous TV show, Saturday Night Live (SNL). That job skyrocketed her fame and her excellence soon saw her became the first female head writer, NBC has ever had. Even though she was achieving a measure of fame, Tina Fey still worked behind the scenes until her first appearance on tv as a reporter on the 26th episode of SNL. That same period, she involved herself in making comedy sketches and groomed her jokes writing career and for this first time in her career, she wrote a screenplay titled Mean Girls. Then she started working on another comedy series named 30 Rock on the same tv station which saw nominations for the 2007 Emmy Award for most outstanding comedy series. The show soon won the Golden Globe award in 2008 and announced Tina Fey as the Best Comic actress that same year. That was not all, the following year, the show maintained being the winner of the Golden Globe Award and Tina also added the Screen Actors award to her archive that year. By the time the show ended, it had received 13 Emmy awards and was considered as the best Tv series of all time. She moved on to start another comedy Tv series named Unbreakable Kimmy Schmidt. The show was initially shown on NBC but with time, it was sold to NetFlix. Like her previous works, the comedy show also bagged a lot of awards. It was nominated for the Primetime Emmy Awards for seven consecutive times and got Tina Fey nominated for the Outstanding Guest Actress in Comedy Series. The comic actress has featured in a lot of other movies, some she made appearances in while providing voice for others. The comic actress has grown her career to a very successful height. Her works are said to be some of the most praised jobs in the comedy industry. She is estimated to be worth $45 million. Tina is a happily married woman. She tied the knots with a man named Jeff Richmond who is also popular for his works in the entertainment industry. The two started dating in 1994 and stayed together through thick and thin for seven years before taking the forever commitment in 2001. Unlike what we know of celebrity couples whose unions never last long, these two have not disappointed and they don’t look like they are giving up on each other anytime soon. Their union is blessed with two children, Alice Zenobia Richmond, and Penelope Athena Richmond.